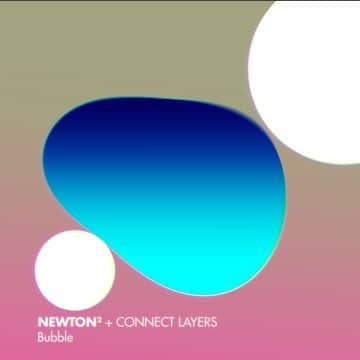 Create Soft body using Newton2 and Connect Layers. 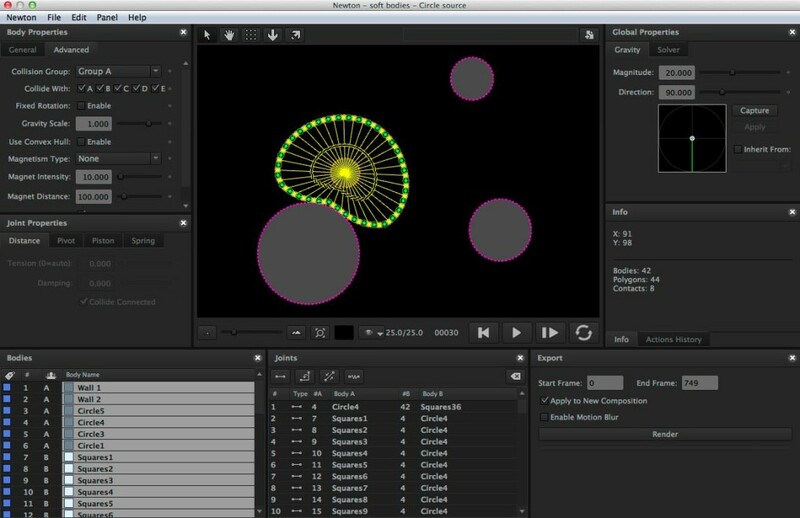 - Creative tool development for After Effects & motion design. Some more experimentations on creating soft body using Newton2 and Connect Layers…. Inspired by the work of Lok Fu, we conducted some tests to create soft bodies using Connect Layers (for another technique that makes use of the puppet tool, see the tutorial from ‘Tercel’). The basic idea is to create the outline of the soft body with simple objects (e.g., box, circle), and connect them with soft joints. Make sure that the anchor point of these objects are layer-centered. 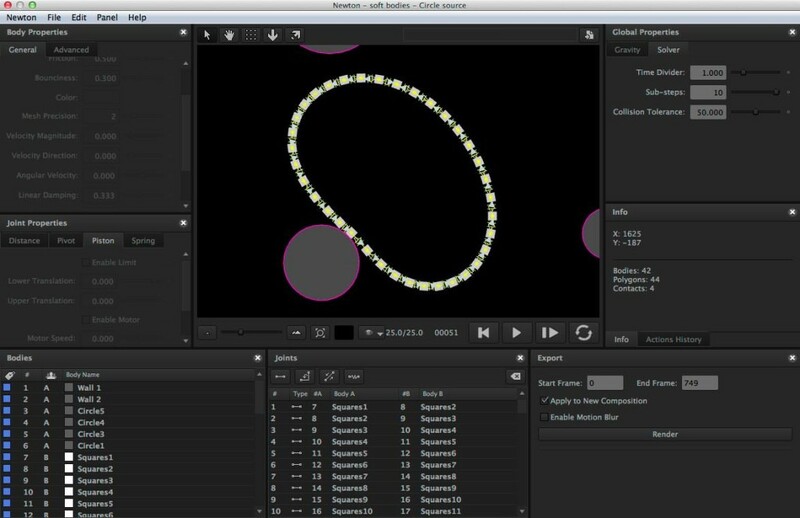 We set up different joint rigs in Newton that create different behaviors for the soft bodies. The first circle behaves like a bubble. We created a circular chain of distance and piston joints. The second one resembles to a soft ball. We used a circular chain of pivot joints, and distance joints as spokes. 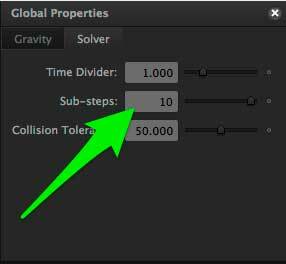 And don’t forget to rise the Sub-steps value in the Solver panel to produces a more accurate simulation! 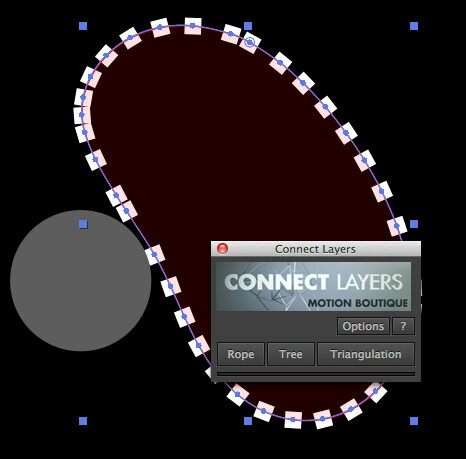 Finally, the key is to activate the “closed” rope feature in Connect Layers. wow! impressive mind reading service you guys have. I’ve been googling for a soft body tutorial the last few hours. I kept checking back here and you’ve literally just added what i needed. Get out of my head!!! But seriously, great work however the project is 12.2 and won’t work on my cs6. Im assuming that is CC. Could you please post a CS6 version please? Legend! Thank you so much. Big respect for sharing this work and the other scripts you guys make. You are improving the quality of animations and most importantly making it more fun for us designers. Cool~! It looks so good~! I love that Newton can do this! And Lok Fu, I love your Year of the Horse animation, the attention to detail and execution is exquisite, it’s an essay in animation. So, it’s pretty straightforward to get symmetrical shapes like a circle or square made from small squares/circles, using shape repeater (and the ShapeRepeaterBaker script). But asymmetrical shapes are more tricky. Apart from expanding a dotted line from a shape in Illustrator do you have any tips as to how to do this? It will create circles, squares (in grids of course), and even a spiral. Hi!, I was wondering about the background, since conect layer only do stroke as a rop. Did you track it later? 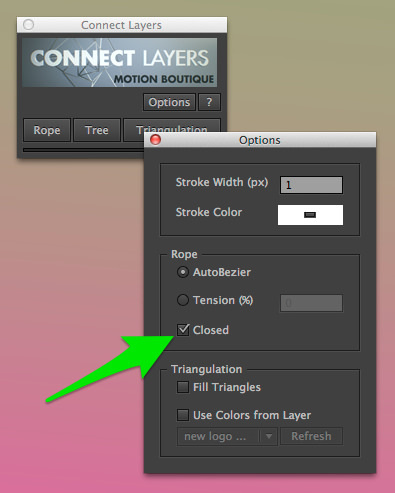 Just add a fill option on your shape layer once CL has created it. How did you guys manage to perfectly place all those square shapes along a circle beforehand? I checked the project file, the squares are not even rotated, no expressions or anything… How did you lay them out like that?